was the only time when there were few enough people on the local network to get any kind of connection at all. 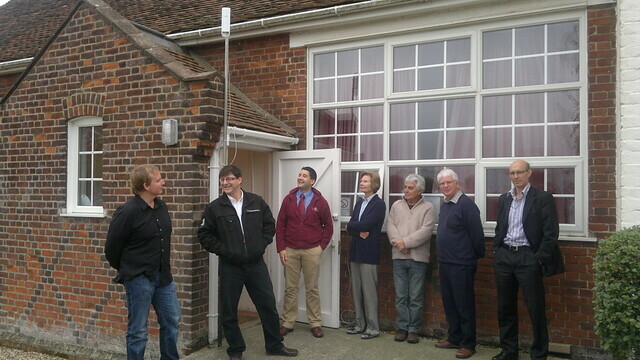 The presence of Lloyd Felton from local wireless broadband supplier, County Broadband, who connected the village hall up to the world for the morning, gave people food for thought. 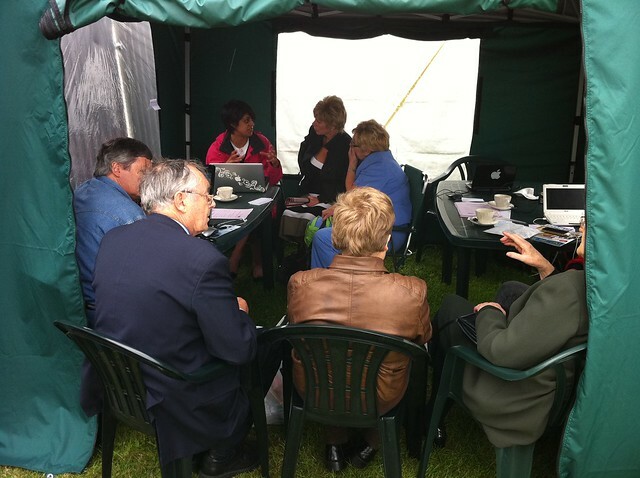 A really useful element was the strong representation from Parish Councillors, and, as the meeting closed, there was resolution to take the lessons learned from the session back to their Parish Councils to begin the process of organising local connectivity solutions. From Little Horkesley, it was off for another long drive, through Essex, Suffolk and Norfolk, to Sedgeford, near Hunstanton. The drive through chocolate-box villages, on windy roads, served to highlight the nature of the #cantgetonline mission. 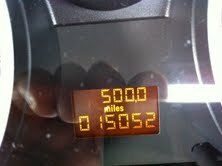 During this section of the journey, the car mileometre clocked up 500 miles for the week so far. 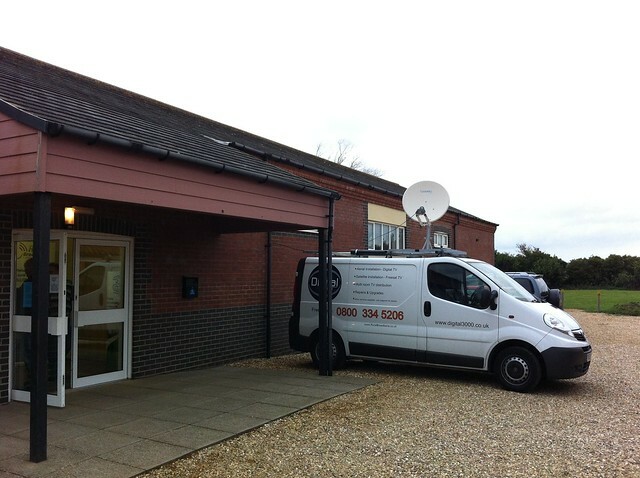 At Sedgeford Village Hall, Richard Dix of Rural Broadband had pulled out all the stops to put on a demonstrator event for local people, and had pulled in representatives from other suppliers, including Three UK, as well as offering too forms of connection to the outside world, via a Tooway satellite dish and a Wireless Broadband Extender (WiBE). As I left Norfolk, a five minute package on the Sedgeford event played on BBC Radio Norfolk, and I am grateful to the sterling work put in by Richard Dix and Sally Smith of the CLA which made this the highest profile section of the tour so far. It was another tiring, but exhilarating day. 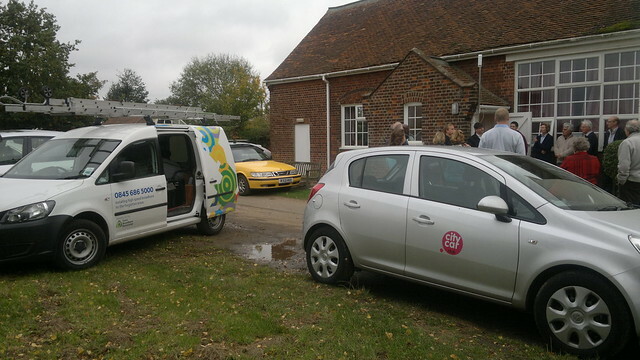 And it proved, again, that broadband can be a real stimulus for galvanising community action. Day one of Can’t Get Online Week has proved as interesting and challenging as I thought. 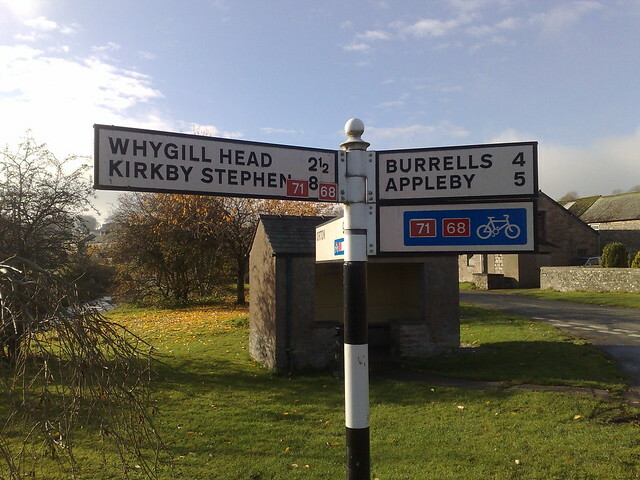 The first obstacle was the long drive south from Huddersfield to the New Forest, which meant an early start. A fairly uneventful journey passed surprisingly quickly, meaning that I arrived at the venue, the Bold Forester Pub, in Marchwood, Hampshire, in plenty of time. 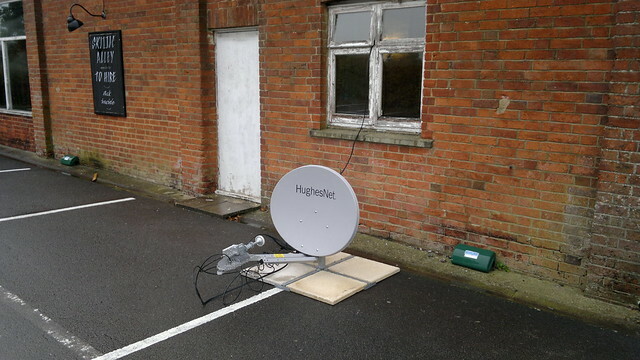 I’d been promised support with connectivity for the event from satellite provider, Hughes Europe, and I was glad to see Zak, their engineer, arrive about 20 minutes after I did, as I had been starting to panic, without internet or mobile phone connections. Zak set up his equipment, we got online, and then people started to arrive. In the end, there were about 35 people present, an impressive turnout as the section of the village which really struggles with connectivity only comprises 60 households. We had a really good, lively, and informed discussion. 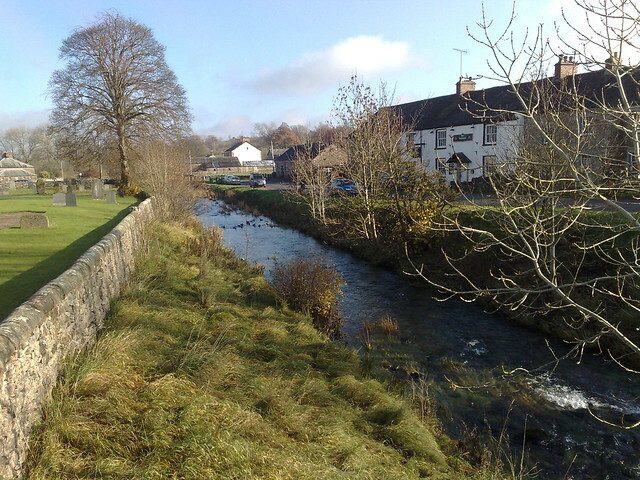 The residents present came largely from the part of the village immediately adjacent to the pub. Marchwood is divided by a by-pass, and it seems that the main part of the village, on the other side of the road, largely has acceptable connectivity. It is radically different on the side we were in. We talked about how watching the BBC iPlayer is an unfulfilled dream for most of them. We discussed how what little internet connectivity there is disappears completely once the kids come home from school and rush to try to get online. And we talked about the people trying to run businesses who have to travel to places with better connectivity to use online services and send content to clients. Perhaps the most interesting part of the chat came when we talked about potential solutions to the village’s problems. People were frustrated at lack of action, both on the part of the major connectivity suppliers, and of the public partners who might be involved in solutions. But, they hadn’t, until this point considered there might be an alternative to sitting back and waiting for their existing supplier to take action. Discussion became more animated as they realised there might be alternatives, and when Chris Conder joined the group via Skype to give her real world accounts of connecting her farm and village, it obviously made a deep impression on the group. 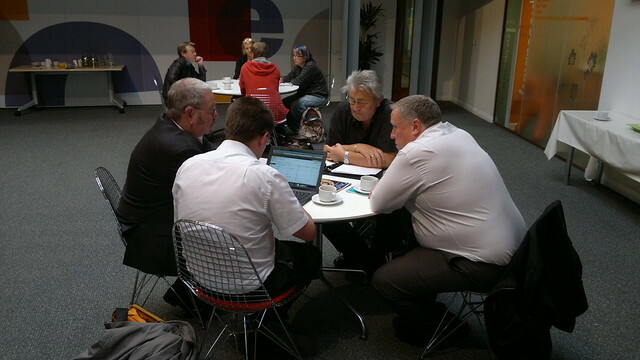 Members left talking about the possibility of installing share satellite connections as possible short-term solutions, and working on their own wired connections in the longer term. I found the event incredibly inspiring because it was about more than the internet. Neighbours were meeting each other for the first time, and, within a short interval, were talking about shared interests and taking common action to address them. 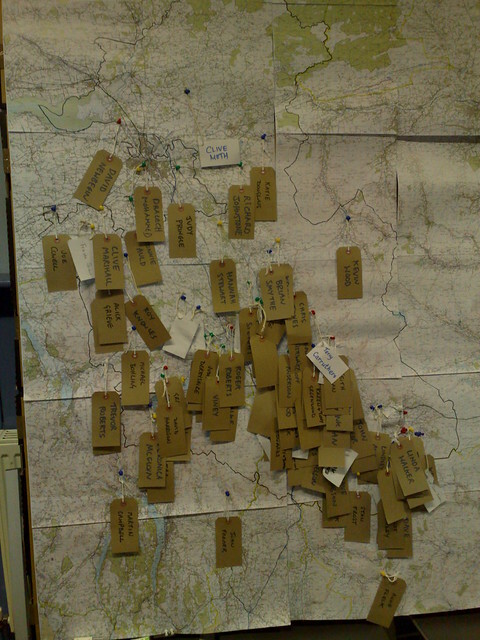 This event was about community, a community interest in addressing their common lack of connectivity, and an exploration of how that shared interest could help strengthen community ties. It’s a real counter to those people who say that the internet is isolating and anti-social. Thank you to everyone who has help so far with making Can’t Get Online Week happen. I am especially grateful to the CLA for their sponsorship, and to everyone else who has helped out, especially those who have contributed financially. There is still time to make a contribution here, or a simpler way might be to donate using paypal to john[dot]popham[at]ntlworld[dot]com. Is there a car hire firm out there that might be prepared to donate a week’s car hire (Sunday 30th October to Saturday 5th November) in return for some positive publicity? Failing that, is there a company / organisation that has access to a favourable car hire rate as part of a corporate deal that I might be able to take advantage of? If anyone would be prepared to put me up during the week, that would greatly help in keeping the costs down. I need accommodation in the following areas. Thursday 3rd November – somewhere in short driving distance of Saltburn, North Yorkshire. If at all possible I would like to stay in places with fairly decent internet connections, and where people don’t mind me hammering their connection by uploading the day’s content to the web. Anyone got access to a way of paying for petrol (perhaps a corporate account) that they might help out with? If you could send food parcels / vouchers, etc. that would be great (NB. I am vegetarian). I would be exceptionally grateful to anyone that can help out, and I’ll ensure you get due publicity for your support. I did a five minute interview (via Skype) about broadband speeds in rural areas for BBC Radio 4’s flagship breakfast current affairs programme “Today”. Only a sentence or so made it through the edit, but it was nice to hear, via Twitter, how many people were startled by the mention of my name on national radio. This is a quick post, on something I feel needs airing. I don’t normally go around recommending products (unless anyone wants to pay me handsomely for doing so, and that’s a different thing altogether). Today there was a very interesting event going on. It was in London, as these things usually are. I made the point that I was disappointed that there was no video or audio feed as it was a debate I feel needs wide participation. The response came back, via Twitter, that this was not possible because the wifi connection wasn’t good enough. Now, leaving aside the question as to why events are being held in venues with dodgy wifi in the second decade of the 21st Century; I am no longer accepting this as an excuse. I’ve done live video as well as audio over 3G connections. It can be flaky at times, but, provided you test it beforehand, the results can often be surprising. And, if it’s not good enough for video, then audio is good enough for events that are mainly about talking any way. I use an app call Twitcasting which is available for iPhone, iPad, iPod touch, and Android devices, and does pretty good quality live audio. I’ve done it over a 3G connection from the Great Yorkshire Show in the middle of a field. See here. And, if you don’t have an iOS or Android device, you can use iPadio which puts the audio from a telephone call live on the web (at telephone call sound quality). Before you try broadcasting anything, do a speed test of the network, using speedtest.net. For live video, if you are getting 1Mbps or more UPLOAD speed, you should be OK, providing you don’t want HD quality. For live audio, you might get away with 250Kbps (upload) or even less. Mifis are meant to be portable devices, but, the advantage of using them in fixed locations is that they will work while plugged into the mains, which gets over battery life issues. 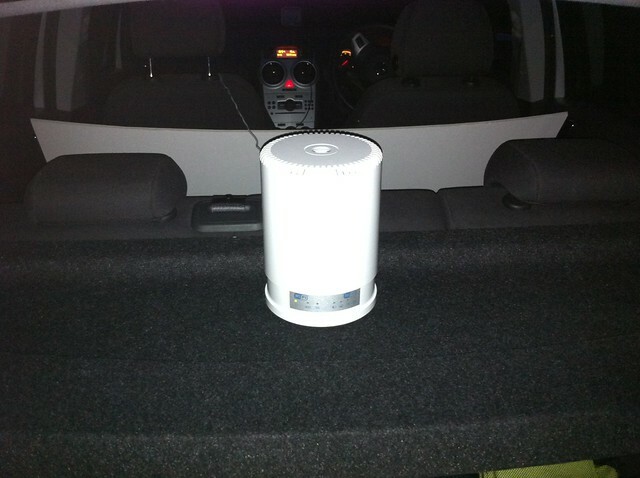 Remember, also, to test out where you get the best 3G signal in the location. This is likely to be near a window, but check if the signal is better on one side of the building than another. 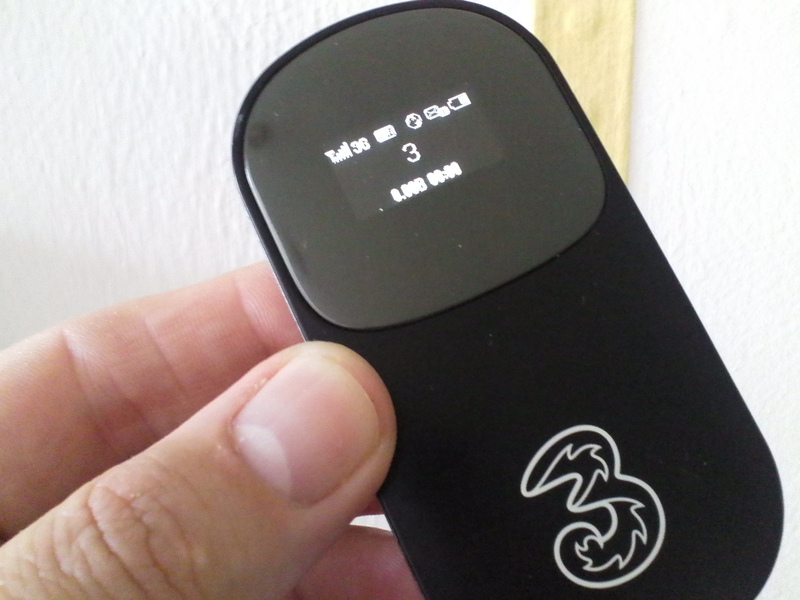 Another really good thing about the mifi is that, unlike a dongle, the camera and the connection don’t have to be physically connected to each other, so the mifi can be moved to where the signal is better. I hope someone finds this of use, and that it leads to more events being open to public participation. Oh, and if anyone from Three is reading this and would like to reward me for this unsolicited endorsement, you can contact me here. I had a really good time on BBC Radio Lancashire on Sunday 4th September 2011, on Sean McGinty‘s last Sunday morning show, talking about some of my current projects, including Can’t Get Online Week, and discussing some of the items in the news. Social Media is a wonderful feature of our lives these days. Every day I interact with hundreds of lovely people who are part of my network. Wherever I can, I try to help out people who have questions or who are seeking information, and I hope I manage to be of use. So, this is the project. I’m going on a Challenge, during Get Online Week (30th October – 6th November 2011) to visit some of the communities in our country which have been left behind in the drive for 21st Century technologies. I want to visit those areas which struggle for internet connectivity, and where the benefits that the internet can bring have, to date, passed people by. The funding I have secured so far is from the Country Land and Business Association (CLA), who were kind enough also to help me out with #twicket and the Social Media Surgery at the Great Yorkshire Show. I am extremely grateful for their support. Because of the nature of the CLA’s funding, the communities I visit will need to be in the Midlands, the East, and the North of England; sorry, Southerners. Maybe next year. Every year for the past 10 years, UK Online Centres have run Get Online Week. For the past three years, the Week has been given a high profile by the leadership of Martha Lane Fox, the Government’s Digital Champion. Every year the week is punctuated by staged, set piece events demonstrating how people are getting online for the first time, and the benefits it is bringing to their lives. These events generally receive lots of publicity including national, regional and local media attention. I’ve been involved in the national launch of Get Online Week myself in the past, and I think it is a very important part of the digital landscape. During Get Online Week, however, there is also considerable frustration, not to say anger, expressed by people living in rural areas about the lack of recognition of the problems most people in sparsely populated areas have with getting online. I know a lot of people think this is a secondary issue, which shouldn’t be allowed to complicate a simple message about getting the sceptics, the timid, and the refuseniks online. But the reality is that, at a time of heightened awareness of the opportunities and benefits of being online, rural communities and businesses experience feelings of increased frustration at their plight. So, my plan is this. I’m going to undertake a social media tour of rural communities during Get Online Week shining the spotlight on their issues and difficulties and highlighting potential solutions. I will tour the communities shooting and uploading video of the activities and conducting audio interviews with key parties. The aim will be to garner material from a cross-section of interested parties, particularly business people, farmers, school children, college students, and elderly people, about the issues which prevent them from getting online. I will also document my journey and post reflections on the day every evening, as well as drawing together all the material at the end of the adventure. I intend this as a complement to Get Online Week. I have run the idea past both Martha Lane Fox, and Helen Milner, Managing Director of UK Online Centres, and both have made supportive comments. I need this event to get lots of publicity, and I still need to raise significant funds to make it happen. This will include contacting local newspapers in the areas I am due to visit, and seeing if I can secure slots on local radio programmes. I’m looking to make this a proper challenge. I’m asking people to challenge me to help them get online and use social media even though they may have come up against seemingly insurmountable barriers in the past, whether those barriers be of connectivity, technology or attitude. I’ll choose the communities to be visited in the basis of these submissions. Also, during the week, I will intend to visit those communities which have taken the plunge and secured their own connectivity to illustrate what they are using it for and the benefits it brings them. So, the campaign starts now – building towards the first week in November. The fund-raising is designed to give the audience a stake in the week and ensure the publicity builds over a longer period, giving it more impact. This is an adventure, delving into the parts of Britain the internet cannot reach and seeing what can be done about it. As part of the fund raising exercise, I will endeavour to secure support from connectivity and equipment suppliers (such as mobile broadband, satellite, and telecoms companies, with whom I have some links) to provide solutions to some of the connectivity problems I encounter. I’d also like other social media users in the locality to join me on the visits to ensure a wide range of materials can be generated from a number of different perspectives. A key part of the project will be the bringing to prominence of connectivity and access issues, and the engagement of funders and suppliers in providing long term solutions to the problems identified. I’d love you moral support, your supportive comments (below), your company, your suggestion of where to visit, offers of somewhere to stay, or anything else you can do to help the challenge; but, I also need your money; so please jump over to http://www.crowdfunder.co.uk/investment/can-t-get-online-week-challenge-366 and contribute whatever you can. Offers of in-kind support in the comments below, please. Oh, and if you can’t contribute directly, you can help by publicising this post on Twitter, Facebook, Google+, Linkedin, or wherever else you hang out. Tell your friends down the pub, at the WI, in the post office queue……. I appeared on BBC Radio York on Friday 22nd October. The interview was as part of BBC Local Radio’s “First Click” initiative, which is their contribution to the national Get Online Week. I was interviewed about the role of social media in motivating people to get online for the first time and how its use can improve people’s lives. We even strayed into the role of Social Media in the Big Society.